Jes is the face of the Foundation. She also corresponds with other survivors, offering support, guidance and motivation to them via social media. Jes’ main focus is overseeing that all the project’s within the foundation endorse the foundation’s three key areas: education, awareness and support. Trish worked in the banking industry from 1979 to 2012, finishing her service with ABSA Bank. She worked for ABSA for 15 years where she started off as a Sales Leader, and worked her way up to Regional Management level, where she won three prestigious awards from ABSA for leadership and community service. She is grateful for the knowledge and skills she acquired during her working career in the banking industry and hopes to be able to give back to the community until her full-time retirement. Trish was born into a family where values, integrity and serving your community were the cornerstones of her family. Trish is what you would call a big-sky thinker and she carries that into everything she does, moving from vision to action very quickly. Trish’ interests start with her family, with God in the centre. Trish is passionate about working within the community, and it is this passion that lead her to join the JFF Board. 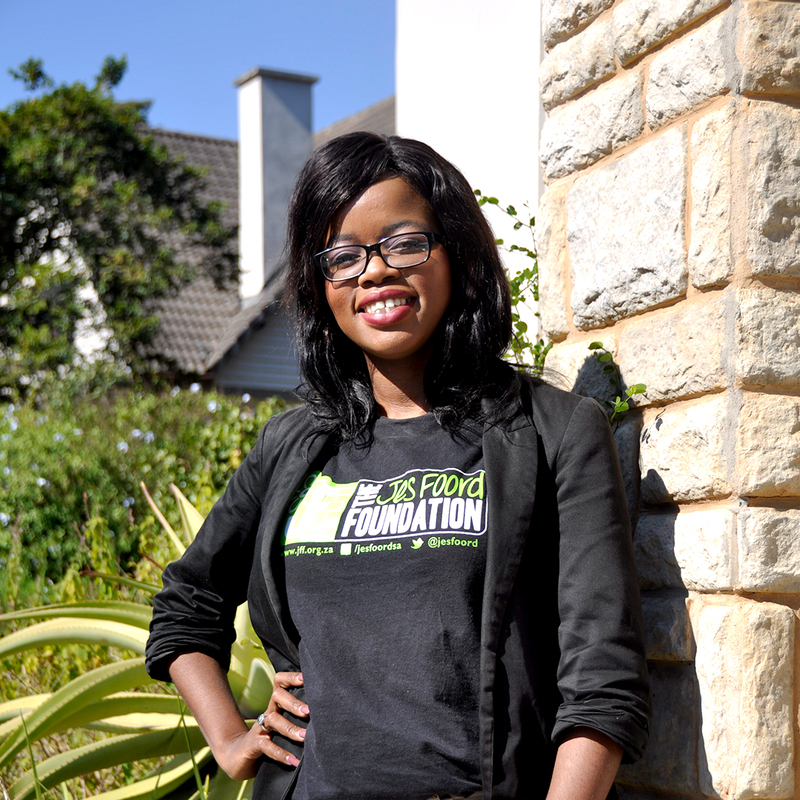 Joyful as an employee at the foundation is the Awareness Campaign Co-ordinator for the Jes Foord Foundation team and plays a vital role within this team on ensuring that community empowerment is always top of mind. Her understanding of the youth and how to communicate with them is just one of her truly great gifts. She, works hand-in-hand with other surrounding NGOs, community activists and groups, educational establishments, influential decision makers, faith leaders, as well as prominent figures to drive forward the key advocacy messages and mobilise people to take campaigning actions with the foundations key areas in mind: education, awareness and support. Additionally, she runs our Zulu Awareness Talks in schools and translates all our documents into Zulu. Elka Aulsebrook, is an innovative entrepreneur and founding owner of a thriving SME business in Durban. Her business sells offcut textiles to the informal sector and has been operating since 1980. No stranger to supporting worthy causes, Elka supported her late husband John in local political initiatives during the critical period of South Africa transition to democracy, having been nominated as a councilor in a local government election. Her time in politics provided exposure and insight into the rural and urban township communities. Elka is a keen marathon runner, and has completed several marathons, both locally and overseas. Elka has known the Foord family since 1995 when she formed a firm friendship with Jaqui who worked for her husband. Her involvement with the foundation began on the day of the incident. She chose to give Jes and her family all the support since that day. 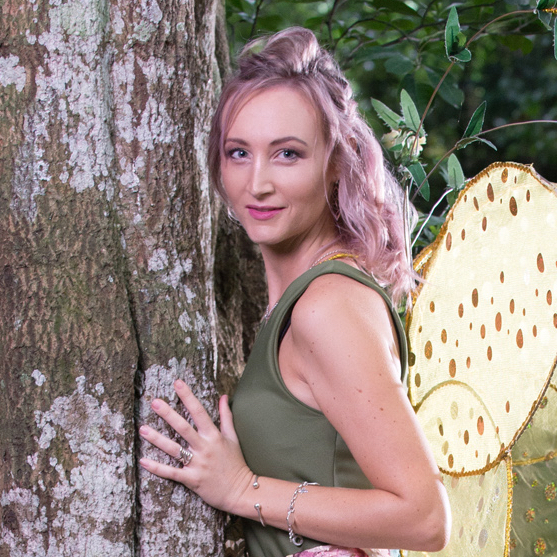 When the board was formed, she was honoured to have been asked to be a part of the Jes Foord Foundation, which has grown from strength to strength due to Jessica’s determination from a free-spirited girl to a mature woman. companies with the very best legal assistance possible. * BA and LLB Degrees in 1992 and 1994, respectively, from the (then) University of Natal. * Chairperson of KZN Women in Business 2009 – 2010. * Board member Business Women’s Association of South Africa 2003 – 2018. Women in Business and Government Awards. * Marked first in the Province and second place Countrywide for Conveyancing Examinations. * Finalist in the Business Women’s Association Regional Business Achiever Awards – Professional Category Finalist in the Feather Awards, Courageous Woman Category (twice). * First Runner-up in the Umhlanga Women Achievers awards, as Achiever of the Year. * Finalist in the Durban Chamber of Commerce and Industry: KZN Women of Excellence – Law 2012. * Appointed by the Deputy Minister of Justice and Constitutional Development as a Commissioner for the Small Claims Court 2018. 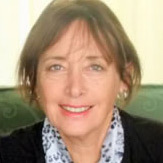 * Board Member of the Jes Foord Foundation Board and McCord Hospital, both on a Pro Bono basis. * 2018 KwaZulu-Natal SA Women in Property Awards Professional of the Year – Private Sector, for the province of KZN. * “Real Hero” award by WE ARE DURBAN for 2018. * Finalist in Umhlanga Women Achievers – Achiever of the Year 2018 and placed as 2nd runner up. * Epworth Foundation Campaign Board Member – ongoing. 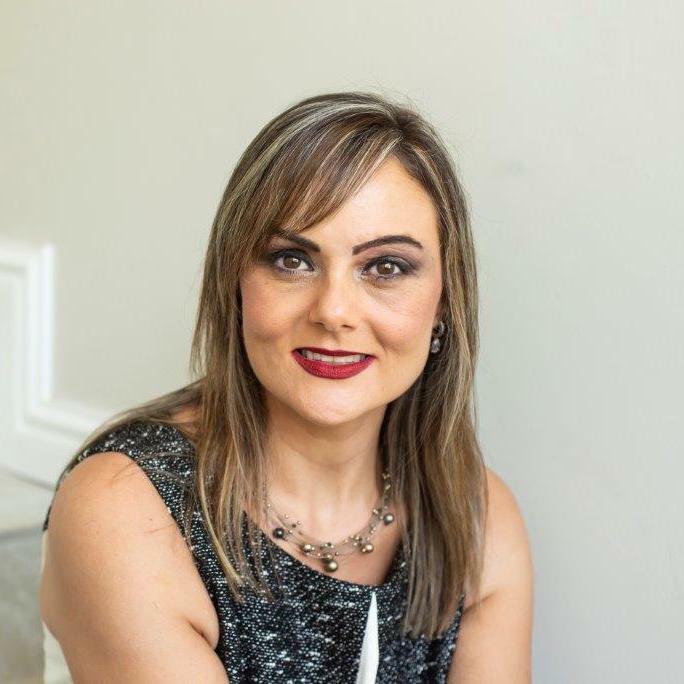 Advocate Pria Hassan, graduated from the University of Natal with a Law Degree in the 1990’s, and was determined “to go boldly where no women has gone before”. She used her legal knowledge and corporate experience to pave the way into Africa. She established the Women of Africa (WOA) Investment Group in 2005, which is a women owned, women-managed, Black Economic Empowerment company that is strongly committed to gender empowerment. Its extensive networks, solid reputation as a company of integrity, industry expertise as well as its broad ranging partner relationships with private and state-owned finance organisations, positions WOA to be a reputable service provider in the pharmaceutical, construction, logistics and energy sector. Pria’s commitment to women empowerment is evident in her long history of panel speaking nationally and internationally. 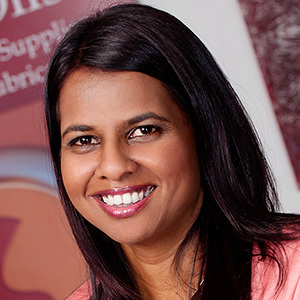 Hassan was named Women of the year 2012 by CNBC All Africa Business Leader, and was the country and regional winner in the Wholesale Sector for the South Africa’s Most Influential Women in Business and Government Award 2014. Ever since the brutal attack on Jes and himself, Tim has been by Jes’ side every step of the way, on her journey from victim to survivor and has been hugely supportive in every aspect of her life. Tim has continued his unwavering support of Jes, through his involvement on the JFF Board of Directors. A qualified photographer and avid sailer, Tim has used his skills and hobbies to raise funds and awareness for The Foundation. Tim is ever present at all JFF events. 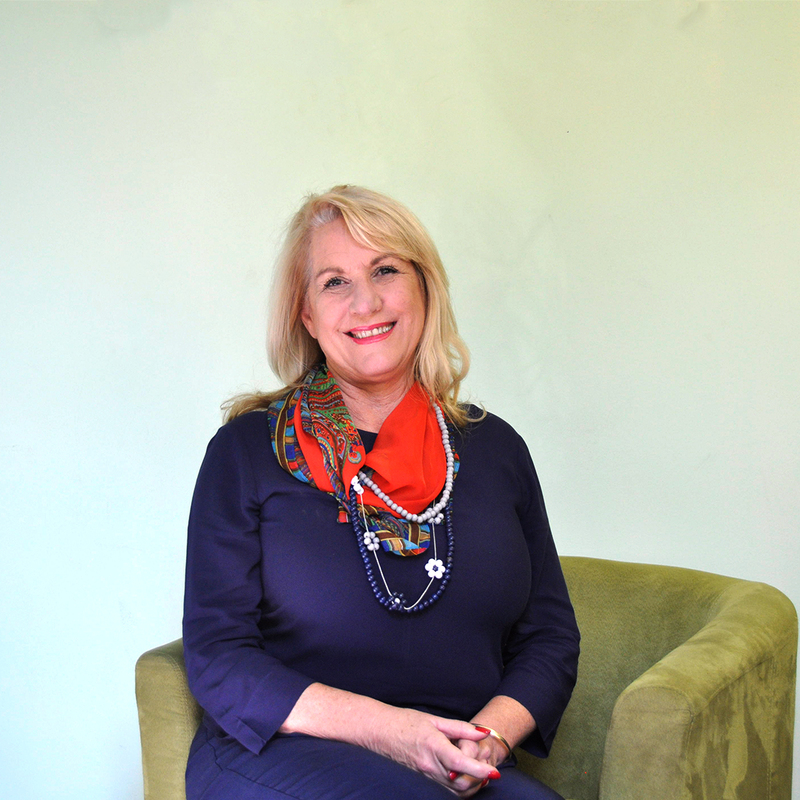 Debbi holds a diploma in Office Administration – 1984 as well as a Dip BM from Varsity College in 2009. Debbi is the founding member and CEO of Mitras Amenities, a company based in Durban that distribute Hotel Toiletries to hotels throughout Sub Saharan Africa. Mitras have a factory based in Cornubia any employ 30 women in the business that are all from disadvantaged backgrounds. The company upskills staff into their various positions. Debbi established the company in 2001 and has received many awards for entrepreneurship. She was the winner of the Umhlanga Woman Achiever Awards in 2011. Ernst and Young Winning Women in 2015 as well as Being finalists in the Africa Awards, National Business Awards and Topco Gender Awards. She is currently working on the companies expansion programmes by incorporating a Promotional Goods Company and Mitras first retail store Debbijane’s. She has been the chairperson of the Umhlanga Woman Achievers in 2012 and the Business Woman’s Association Regional Chairperson from 2017 – 2018. 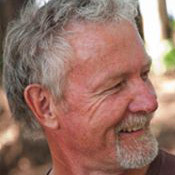 Ross is a qualified Accounting Officer and a registered member of The South African Institute of Professional Accountants, as well as an associate member of the Institute of Chartered Secretaries and Administrators of Southern Africa. He completed his CIS diploma through correspondence, while working in a small auditing firm, before joining the corporate world. Scott left the corporate world in 2006 to start his own accounting firm, Osborn and Thomson. 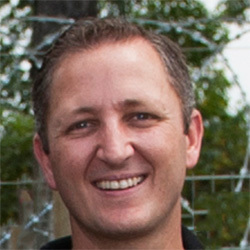 Having bought the bookkeeping practice which handled the Jes Foord Foundation’s bookkeeping requirements, Rohan and Scott decided to offer this service pro bono, and in 2013, Scott joined the board and took up the role of Treasurer for the Jes Foord Foundation. Rohan is a qualified Accounting Officer and a registered member of The South African Institute of Professional Accountants. He is also a member of the Chartered Institute of Management Accountants. Rohan completed his Bachelor’s Degree at the University of KZN, before going overseas and joining the corporate world in Ireland. 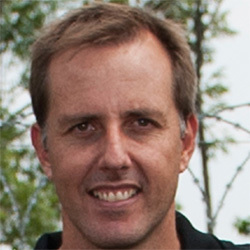 He returned to South Africa in 2001 to start his own accounting firm. In 2010, Ross and Rohan joined forces to form Osborn Thomson, an accounting firm situated in Hillcrest. 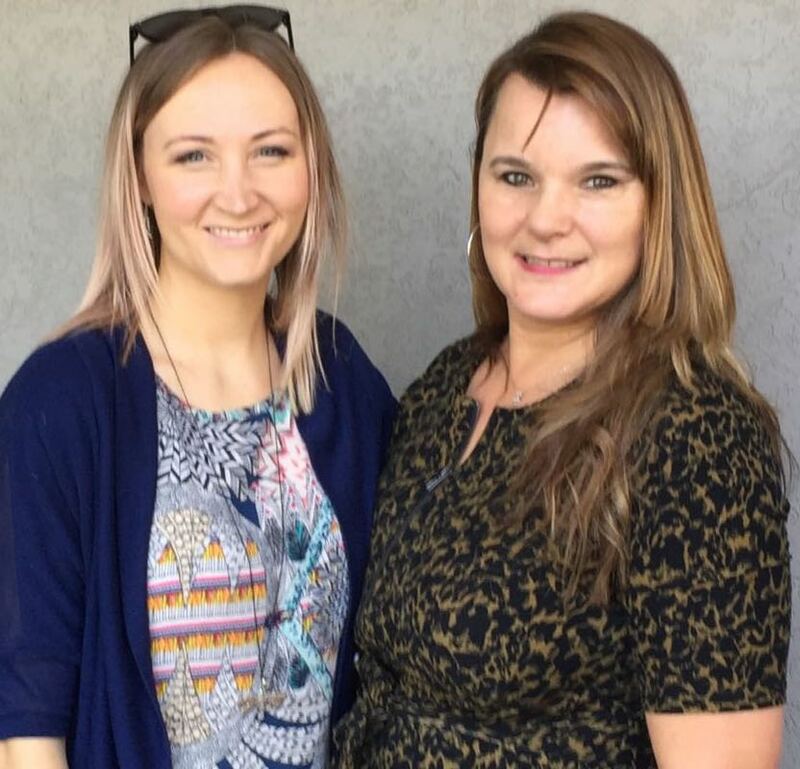 Having bought a bookkeeping practice which handled the Jes Foord Foundation’s bookkeeping requirements, Ross and Rohan decided to offer their service pro bono. In 2013, Rohan joined the board as a Director.